Danielle Epstein-Day concentrates her practice in real estate, finance, corporate and trademarks. She represents a wide range of clients, including real estate owners, investors, developers, buyers and sellers, landlords and tenants, and lenders and borrowers in a variety of commercial, financial and real estate transactions. 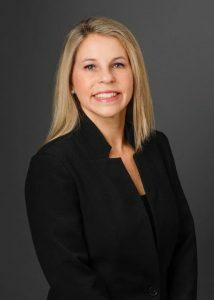 Ms. Epstein-Day handles many types of real estate transactions, including sales and purchases, residential and commercial co-ops and condos, tax-free exchanges and leasing of real property. She is responsible for preparing and negotiating commercial and residential leases, including shopping centers, office buildings, and other store leasing. She represents a range of landlords and tenants, from the independent retail store or business operator to major institutions, including regional and national businesses. Ms. Epstein-Day also represents purchasers and developers in the acquisition of substantial commercial buildings, including the negotiation of first mortgage financing. On the corporate side, Ms. Epstein-Day handles a range of corporate legal matters, including franchise, shareholder, operating, licensing, telecommunication and other agreements, plus employment practices, executive employment and compensation, and other issues regarding corporate governance. Her experience in trademark practice ranges from client counseling to due diligence and assisting clients in choosing their trademarks and service marks. Call now to get started with your case.